I don’t think it’s any secret that we love the AR-15 around here. To be perfectly candid, the AR-15 is the most popular Rifle platform in America, and has been for some time, so it’s what pays the bills for a lot of people in the firearms industry…us included. AR-15s make the world go round. That said, there are some things the AR-15 just can’t do. Namely, the AR-15 can’t handle “long-action” cartridges, so there’s a limit on the power or distance you can get out of a round fired from an AR-15. 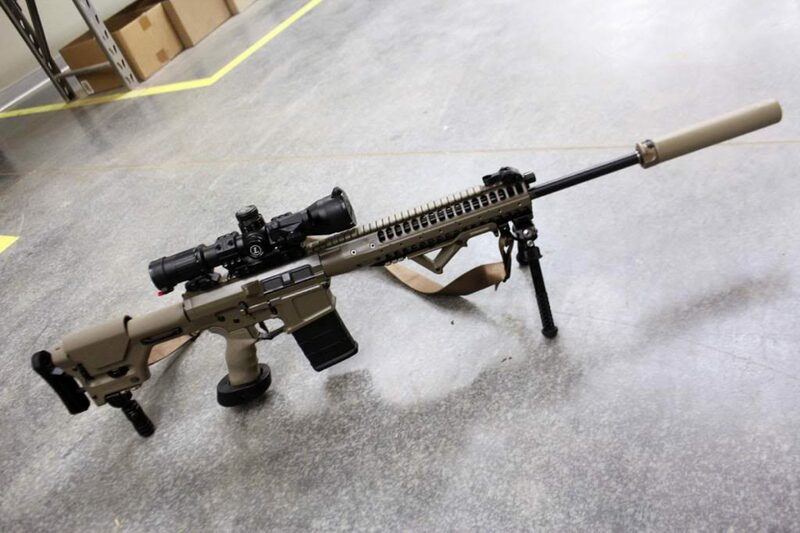 The AR-10, though it’s a bit older and actually a precursor to the AR-15, is still one of the most popular rifle platforms around because of this ability to handle larger rounds, and because it can swap a large number of parts with the AR-15. 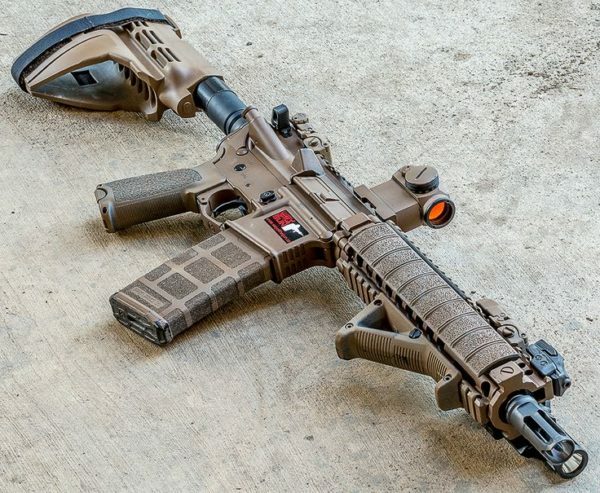 Today, we’re going to go over some of our very favorite AR-10 rifles. These are guns that can chamber some truly hefty rounds, and can handle anything you throw at them, from hunting to competition to combat. *Note: We’re looking at the best complete rifles here. Don’t worry, we’ll be doing articles on the best AR-10 Uppers and Best AR-10 Lowers for all you builders out there who want something a little more custom. I want to get this out of the way up front: I’m a big Aero Precision fan. They’re known in the industry as one of the biggest quality manufacturers of lowers and uppers for other AR makers. They also offer a wide variety of build kits, including various Cerakote options that are available as limited runs. How much do I love these guys? Well, I have three rifles built on their lowers, including my favorite hunting rifle and one of my competition guns, and I have two of their upper and lower sets sitting on my bench begging to be turned into something awesome. As you can see, the top recommendations were the ones tested, and Eric shot between 1.5 and 2 MOA, which is perfectly respectable for a handloads, Eric and I both believe the gun is capable of around 1 MOA to Sub-MOA accuracy. The big split can kind of be looked at like the difference between say, commercial and mil-spec parts. Mostly, you just need to know which parts you have so any new parts you get work with what’s already sitting around (or strewn across your workbench). So, I have a confession. I’ve only shot a DPMS AR-10 once. HOWEVER, my good friend John Bern who has about 30 years more time on the AR platform than I do owns three of them, and regularly harvests hogs, deer, bighorn sheep, and other larger game with it. Take that for what it’s worth. If you will accept no immitations, no pretenders, and want only the purest, most original AR-10, you’re in luck. Well, in this case it will absolutely blend. Or shoot. It’s a weird metaphor, just go with it. The LWRCi R.E.P.R MKII is an updated version of that rifle, and is built to the same exacting standards as the already awesome first version. Oh my sweet baby Jesus in a manger. This is one of my favorite guns, and heaven help me (and hold me to this guys) I will own one. I was very fortunate in that I got to shoot one at a range day event hosted by a local gun shop. I was given five rounds of Federal Gold Medal Match 175gr. I put those five rounds into a one inch circle at 200 yards. For those of you playing along at home, that’s a half MOA performance out of a gun I’d never shot before. So, I want this gun, but I don’t want you to want this gun because they might be sold out when I finally scrounge up the money for one. It comes with a number of high end features like a nice bull barrel with a sweet target crown on it. Mega Arms 16″ .308WIN match grade BBL. 1×10 twist, 11 degree target crown, 5/8-24 threaded muzzle with Gemtech muzzle break, Black Nitride coating in and out, Mid Length gas. One thing I will say, particularly about this gun and the LWRCi one: you get what you pay for. With some guns you don’t, and when it comes to expensive guns like this, that price tag gets harder to justify the bigger it gets. All of these guns made this list because they are worth the money. All in all, I love the AR-10. Its a sometimes-finicky rifle that, when done well, can be one of the greatest joys to shoot, and one of the most versatile options in your gun safe. These guns are the best of the best in their particular niches and are perfect if you find yourself needing to hit something very far away with a very large bullet. 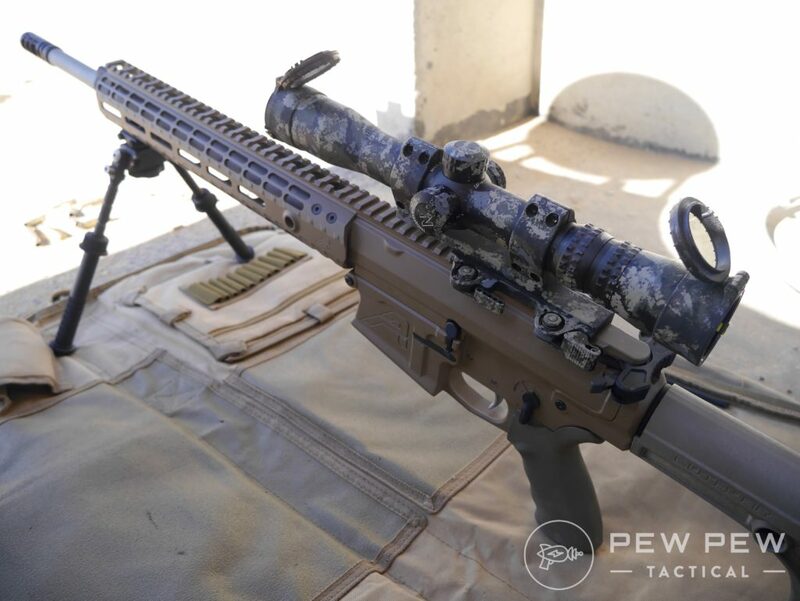 The post The Very Best AR-10s appeared first on Pew Pew Tactical.